Creating a memorable stylized character for animation may not be as easy as many would think. Check out the work of one of the best stylized character artists using Blender. So, it is with great pleasure that www.BlenderNews.org introduces to you the winner of the Render of the Week Award for the week of March 18, 2019: Aitor Pérez Alonso. 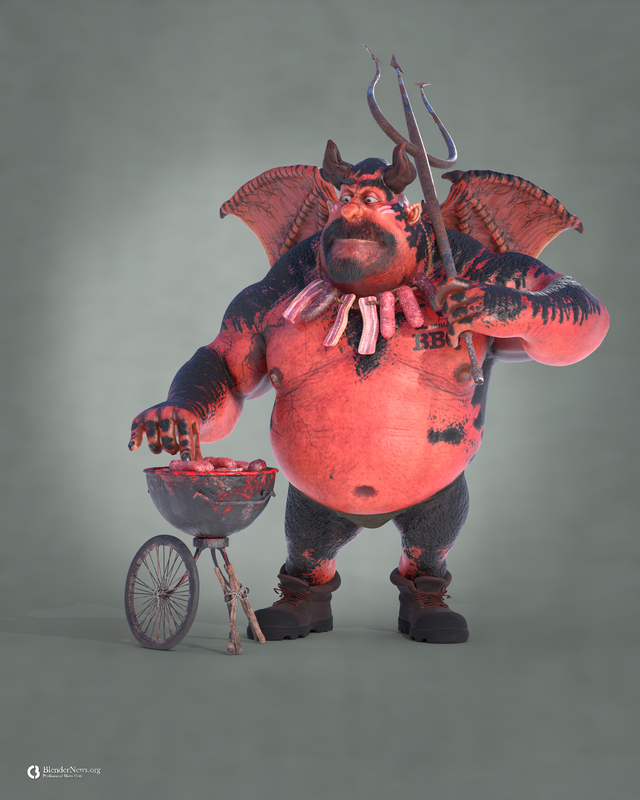 Title: "Demon, aka 'the Human BBQ Lover!'" 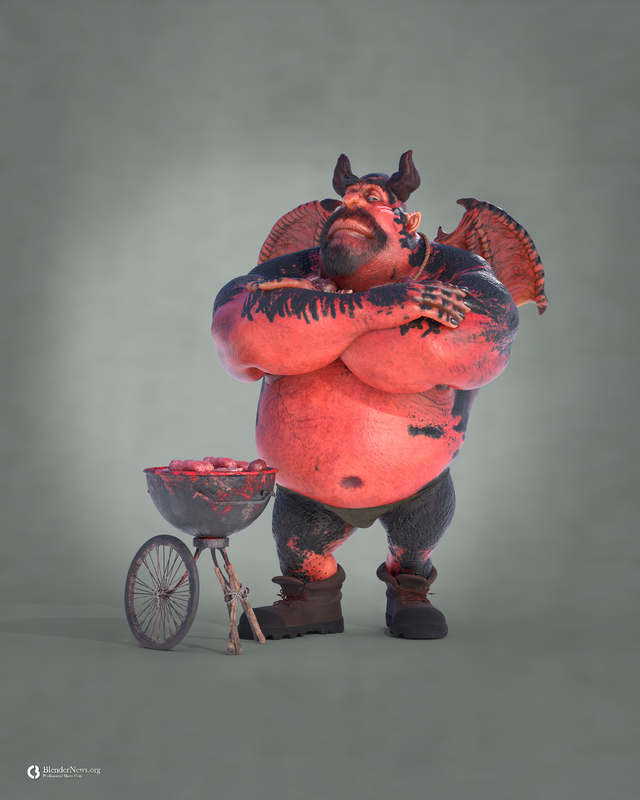 About "Demon, aka 'the Human BBQ Lover! 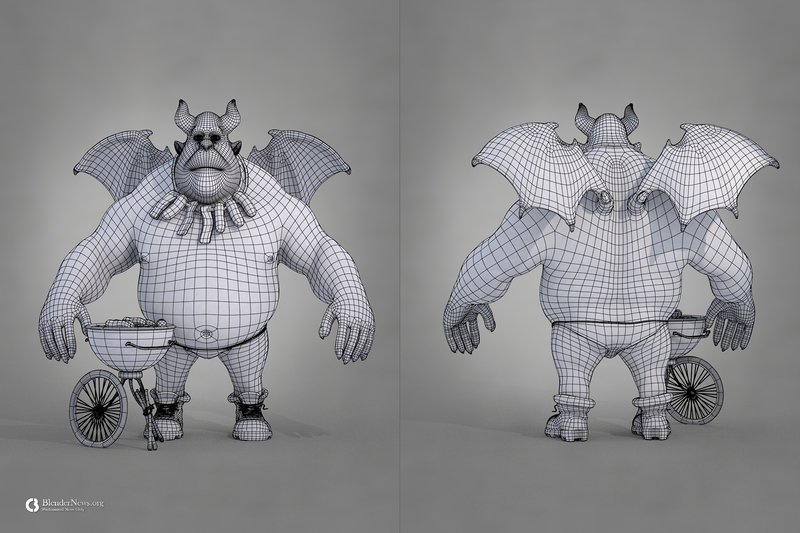 ':"
texturing and the rigging to pose it.